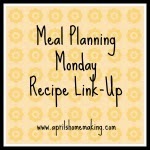 It's time again for Meal Planning Monday Recipe Link-Up. :) Last week we had many wonderful recipes shared, and I am looking forward to another week with lots of inspiring recipe posts! 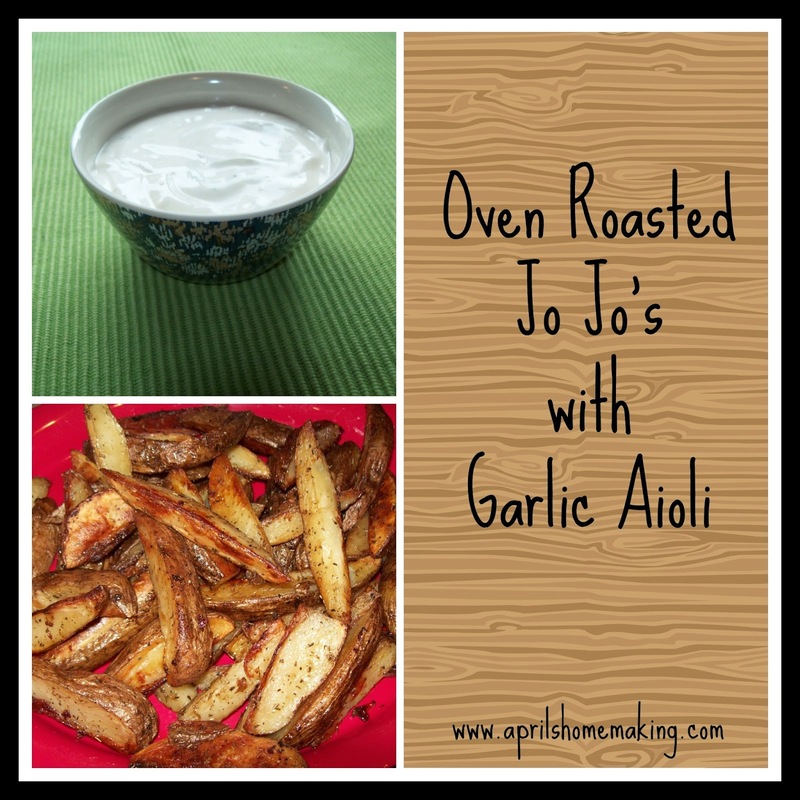 This week my recipe post is a simple side dish- Oven Roasted Jo Jo's with and easy Homemade Aioli dipping sauce. This side dish goes with many meals and adds a lot of "comfort" factor to any meal they are served with! I am looking forward to reading all of your wonderful posts! I shared my favorite use up for nut pulp. Thanks so much for hosting, April. Have a great week! Hi there! I just nominated you for a Liebster Award! This is a meet and greet kind of thing for bloggers and a little acknowledgment of some of my favorite blogs. If you would like to participate just visit my blog for instructions. Thanks for all your great posts!